I’ve talked on my blog before about how I am a carrier of the Crime Gene — no, I’m not a criminal; I just enjoy reading about them — but I haven’t discussed any of the excellent crime journalism I’ve read over the past six months, including Richard Lloyd Parry’s outstanding People Who Eat Darkness, and, more recently, Charles Graeber’s The Good Nurse: A True Story of Medicine, Madness, and Murder. Charles Graeber spent seven years researching the story of former critical care nurse Charles Cullen, who is suspected to be the most prolific serial killer in U.S. history. 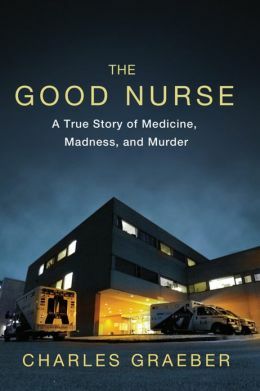 Graeber’s chilling book tells the deeply disturbing story of a nurse who was allowed by hospitals to murder his patients with impunity for sixteen years, and the difficult criminal investigation that finally led to his arrest, confession, trial, and imprisonment. How did Cullen get away with murdering patients without ever having his nursing license(s) revoked? It was shockingly easy, as it turns out. When one hospital started to suspect something was awry — a large number of recovering patients suddenly crashing with sky-high levels of insulin in their blood, for example — they would quietly send Cullen on his way, giving him neutral recommendations for his next hospital job. The hospitals didn’t want to fire Cullen outright for killing patients because that would impact on their own liability. So, one after another, the hospitals chose to cover their own butts instead of protecting patients. And in this way, Cullen bounced from hospital to hospital and continued to kill off patients in each new place of employment. This look is doing Cullen no favors in convincing people he’s NOT a serial killer. Second of all, he expresses no genuine remorse about murdering what he estimates to be forty people, but what people who have studied the case believe to be a much higher number of human lives, probably in the hundreds. Instead, he sees himself as the victim. Throughout his life, he attempted suicide at least twenty times in a bid for attention, and he enjoyed being the one who had to be taken care of and pitied and nursed back to health. But in his professional capacity as a critical care nurse, he was able to exercise ultimate control and power over truly helpless people. He knew he held their lives in his hands, and rather than caring for them, he murdered them. What makes his crimes especially monstrous is that he was killing people whose families had implicitly trusted him. His actions shook many people’s faith in medical and nursing care. If you can’t trust a healthcare professional to care for your sick loved one, who can you trust? Graeber’s book is a quick, gripping read, and will leave you shaken (which is exactly what we want in crime journalism, of course). I’d heartily recommend it for any fellow crime gene carriers, particularly those interested in medical/nursing related crimes. Cullen’s story is shocking on several levels — not just the awful crimes themselves, but the fact that he was allowed by hospital administrations to remain at large for so many years. Horrifying. 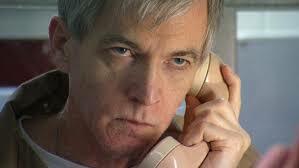 This entry was posted in Books and tagged books, Charles Cullen, Charles Graeber, crime on June 3, 2013 by Stephanie.